Ministry of Finance issued gosgarantii to 2.17 billion rubles OAO Arsenevskaya aviation company "Progress" to them. Sazykina NI "- is 70% of the loan provided by the company Sberbank Russia. Credit is needed to replenish the revolving fund "progress" on state order issuing combat helicopters Ka-52 ( "Alligator"). According to experts, the gosgaranty means that the State has complied with the obligations of loading "progress" of orders for military aircraft. Yesterday, the press service of the Ministry of Finance reported about the agency decision on the granting of state guarantees Arsenevskoy aviation company "Progress" in the government anti-crisis measures in support of the strategic organizations, military-industrial complex. Order issued last Friday. As the press service of the Ministry, Inc. "Arsenevskaya Aircraft Company" Progress "to them. NI Sazykina" granted state guarantees worth up to 2.17 billion rubles., Representing 70% of the loan. Beneficiary under the contract for gosgarantii is Sberbank of Russia OAO. Duration of the credit determined until 7 March 2013. OJSC "Airline Arsenevskaya" Progress "to them. N. Sazykina produces combat attack helicopters Ka-50 (Black Shark), Ka-52 (" Alligator "), 3M-80 missiles, 3M-82 anti missile system" Mosquito " . In 2008, joined the corporation Oboronprom "and administered by entering the" Oboronprom JSC "Helicopters of Russia". According to the Center for Analysis of Strategies and Technologies (TSAST) in 2008 revenues of "progress" from the sales amounted to 3, 335 billion rubles., Net profit - 17,5 million rubles. Products produced only in the state order. Ka-52 - double modification known impactor Ka-50 Black Shark ", which is operated by one pilot. Maximum takeoff weight Ka-52 - 11.3 tons, armament - 12 anti-tank guided missiles "whirlwind", a 30-millimeter 2A42 gun (460 rounds), 4 missiles air-to-air missiles "Igla", 80 unguided missiles, C - 8 blocks B8V20. Speeds: The maximum in the horizontal flight - 310 km / h, cruising - 270 km / h, with the dive - 350 km / h. Static ceiling - 3.6 km, dynamic - 5,5 km. Range - 275 km. Serial production of the Ka-52 began on the "Progress" at the end of last year. Recall the fate of the Ka-52, which the developer OAO Kamov proposed as the main future combat helicopter for the Air Force of Russia, has long been unclear. In 2003, the decision by the Air Force Command was adopted competitor "Alligator" - attack helicopter Mi-28N Night Hunter "(now made Rostov Helicopter Plant), and later the Ministry of Defense announced the need to purchase about 20 Ka-52 helicopters for use in special operations. According to some reports, in 2009 the Russian armed forces should receive 12 Alligator, a total order Arsenevskoy state aviation company in the period up to 2013 is about 30 units. In addition, the issue of export shipments of cars, among the likely buyers - Turkey, India, and presumably Venezuela. Currently, according to the press service of "progress", the plant operates only on the State Contract for the production of the Ka-52 Ka-50 and the "Mosquito." According to Deputy Director of the Department of Transport and Industry, Primorsky Krai Viktor Starchenko, state order to ensure "progress" sufficient to load the volume of business. However, the JSC is the difficulty of working capital due to accumulated debt of the credit for the period from 2000 to 2006, when the plant was loaded at 30-40% capacity. "Progress" are badly needed funds for the implementation of the state defense order, but in terms of production and human resources it is fully prepared to work ", - noted the official. In spring 2009, the Board of Directors of OAO Arsenevskaya Aircraft Company "Progress" to them. NI Sazykina "endorsed the decision to open a credit line in Sberbank of Russia to replenish the working capital required for the execution of state orders. Yesterday at JSC told that "this amount to 2.17 billion rubles. May indeed correspond to one of the loans under the credit line open Savings Bank of Russia for the company for a period up to 2013." But to comment on the situation on the "Progress" has not yet started due to the fact that "so far no official documents for the extradition of gosgarantii for business has not been received." Expert Center for Analysis of Strategies and Technologies, Konstantin Makiyenko noted that gosgarantii to get a loan - is now a standard mechanism for support of Capital. " He believes that if the Ministry of Finance ordered gosgarantiyah and Savings Bank agreed to lend to "Progress" in these circumstances, the "state defense order for the company is not cast." Victor Starchenko believes that the current and next year are "transitional" to "progress". "When a spin, the obligations under these loans will be performed. As part of the diversification of production in the future, it is loading" progress "and the civil war (the Ka-62) products equally," - explained Mr. Starchenko. State test the latest generation combat helicopter Ka-52 Alligator will culminate in 2010, told journalists on Wednesday, Chief of Air Force (Air Force) Russia, General-Colonel Alexander Zelina. "Public joint test (ICG), Ka-52 are conducted in two phases with the timing of completion of the first phase in 2009, the second phase - in 2010," - said head. According to him, in the first phase of the ICG in December 2008 was granted a preliminary conclusion on the possibility of issuing the first batch of helicopters and their maintenance. "This will help reduce the time test by the ICG helicopters bring to the party and the installation to complete on time the R & D (development activities) and to start deliveries of the Ka-52 helicopters to the troops," - noted Zelina. Alligator has a take-off mass of 10.4 thousand kilograms, the maximum speed of 310 kilometers per hour, range - 520 kilometers, the practical ceiling - 5,5 thousand meters. Are armed with 30-mm 2A42 gun (460 rounds), the combat load - 2.8 thousand kilograms in four nodes of suspension, 12 PTUR "Vortex", or four SD "Needle-in" air-to-air missiles, or containers with guns or machine guns. According to their flight and combat characteristics of "Alligator" is not inferior to the American AN-64 "Apache". 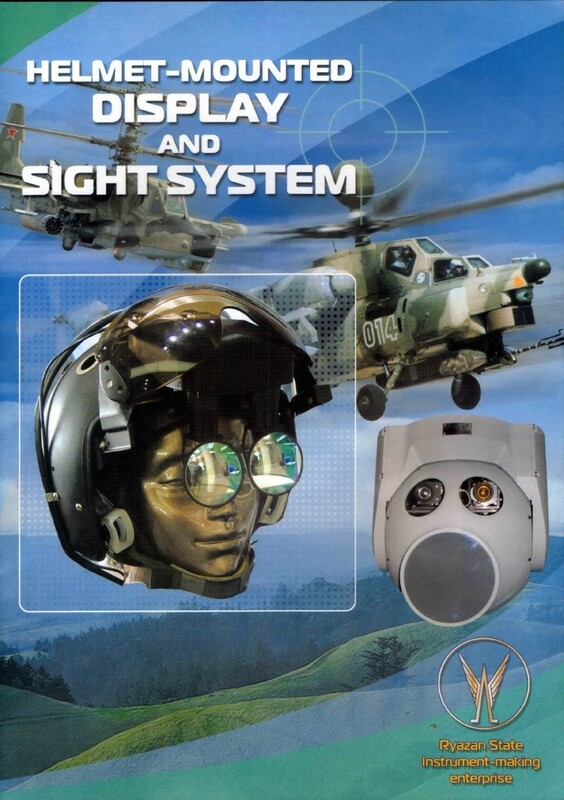 "In dealing with the traditional firing of tasks helicopter Ka-52 is the new battle features such as round-the-clock combat use and high speed search of land and air targets, the high accuracy of the output for the purpose of, and extensive destruction of air targets, as well as the feasibility of automated low-flight" - explained the head. According to him, the distinctive feature of the Ka-52 is the possibility of its use for special tasks. For example, to transfer information on the tactical situation in the area of hostilities, to laser illumination interacts special purposes, for communication and intelligence. As reported in January this year, director general of Arsenevskoy aviation company "Progress" (AAK Progress "), producing data fighting vehicles, Yury Denisenko, Russia has already received applications for helicopter Ka-52 Alligator from three foreign countries, which are pipeline. Denissenko did not yet call them. Priority areas for re-helicopter aircraft military aircraft to the new technology include, in addition to the Ka-52 helicopter, the creation of a new combat helicopter Mi-28N, added Zelina. ICG attack helicopter Mi-28N were launched in May 2005 and were conducted in two phases, completed in December last year. "Night Hunter" is a round-the-clock for the conduct of hostilities and the destruction of land, sea and air targets enemy mine-laying productions, as well as to provide firepower support to ground forces. 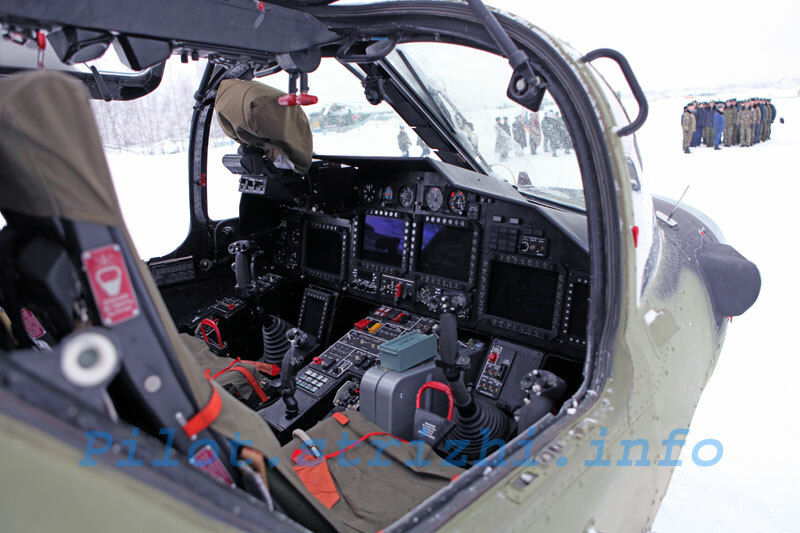 The helicopter is equipped teplovizornymi and TV channels of observation, a laser rangefinder, to satellite navigation systems and physical fields of the Earth. In addition to helicopter gun can oispolzovat anti-tank missiles, air-to-air missiles, bombs and other weapons. Maximum combat load - 2.3 thousand kilograms. "Currently, in accordance with the policy documents began deliveries of the Mi-28N helicopters to the troops," - said Zelina. Media earlier reported that formal applications for overseas combat helicopter Mi-28N Russian side has already sent seven countries. Zhukovsky, 19 August. (ITAR-TASS). In the nearest future Russia Air Force will receive more than 25 attack helicopters Ka-52, said at a press conference at the MAKS-2009 Air Force i.o.nachalnika RF Maj. Gen. Oleg Barmin. "From this year the Air Force begin to serial purchases of helicopters of this type. The exact number will be refined. In the near future for more than 25 helicopters arrive at the Air Force" - said Barmin. He recalled that the main attack helicopters, which are buying air force, is the Mi-28N. Ka-52 is designed to solve specific problems, in particular, to participate in the fighting in the Highlands, in urban areas for reconnaissance. It is reported that within the framework of the state defense order the Russian Army before 2012 will receive up to 30 Ka -52. But get there - here in this issue. As reported by " Vladivostok News " , " Progress " in 2010 should put the Armed Forces of seven Ka - 52. In February 2010 the newspaper "Vladivostok " hastened to declare that the first stage of the joint state tests completed at the end of the year . But the reality was different . According to the " RV ", public joint tests of the Ka -52 (even their first step ) were actually failed. At the end of March 2010 the interdepartmental working group to identify the causes of missed deadlines and delivery of test products GOES -451 was expressly stated to blame failure - PA " Urals Optical and Mechanical Plant " ( Federal State Unitary Enterprise ), now referred to as JSC " Ural optical- Mechanical Plant, equipment tore " Alligator " multi-channel, sighting , Hydrostabilized opto- electronic system clock of the GOES- 451. It has been established : the specified terms of reference product reliability GOES -451 is not secured , reducing the volume of tests , including those not tested for reliability , which is probably the cause of systematic failure of government machinery for joint trials; burying Target date for completion of MM ( 30.11.2009 ), not causes of the systematic failures of products GOES -451 and inconsistencies of these products technical specifications , the systematic postponement of the delivery of products - reaching up to a year delay , was found unsatisfactory administration of an enterprise. say in advance that the new completion date of MM - 15.05.2010 was also disrupted. But the main conclusion of the Commission made the following : " The untimely and incomplete advancing industrial cooperation from the PA " Ural Optical and Mechanical Plant and the untimely holding the final payment for delivered products show signs of misuse of funds (an unpaid diversion of budgetary funds for purposes other activities Not meet the conditions of their production ) . It seems that such serious conclusions should be considered by the Chamber and the Prosecutor General's Office . We may be objected , explaining that the production of " all happens sometimes . " In this regard, we note that what happened to the GOES -451 is not accidental and not a single , this is the practice of the General Director of JSC " Ural Optical and Mechanical Plant " Sergei Maxine , his attitude to production and management of financial flows. A similar situation is observed in the issue of JSC "PO" Urals Optical and Mechanical Plant " optical- radar stations in the state defense order for family aircraft "Sukhoi" , where instead of the planned 6-7 articles per month the plant is often made one , and the issue of delivery equipment under the contract Rosoboronexport in India for licensed production, where UOMZ also performs delivery , and that the company does not participate in the program of modernization of MIG -29 and Su- 35. The above shows already on the system. Great, now we have to beg to France again for more optics because the incompetents running UOMZ can't make what is required. Well they will need to sort this out because the Russian Navy will be ordering the Ka-52 soon for their new Mistrals too and they will probably need at least 50 (including about 8 per vessel plus some land based aircraft for training etc). Here is a recent photo of the Ka-52 from the wonderful airliners.net website that I wanted to have a chat about. While the Ka-52 and Mi-28N are being worked on and put into service they have had some changes, the more so with the Ka-52 specifically with regard to weapons. In the picture above it is quite clear that this helo is carrying Shturm/Ataka missiles from the Hind/Havoc series, though on the Hind and the Havoc there are circular black fronted radio command pods to control those missiles in flight which doesn't seem to be present on this model Hokum. The main changed features are the wingtips which now have wings poking out of the wingtip pods at an upward 45 degree angle with pods on the end and the left main pod tip is flattened as if it contains some sort of aerial. Also on the far left weapon pylon there is a large box structure which hints to me perhaps a purpose for the new antenna. I am guessing that the flattened let pod contains the antenna to control the ATAKA and SHTURM ATGMs and because only one would be needed I believe the black wings with tip pods on both wing tip pods are antenna for controlling the ZALA 421 08 UAVs in the box on the far left weapon pylon box. If you look at this website: http://www.zala.aero./ down in the bottom left corner you can watch a flash video of how a Ka-50 uses this UAV to scout ahead. Considering the Ka-52 is called a "Scout" helicopter I would think in addition of having two crew would mean it was even better suited to the use of this UAV. I would add that if this assumption is correct that would answer a question I have had for some time because the BMPT carries ATAKA missiles but does not have the black circular antenna to control them as fitted to the Hind (under the nose offset from the optical window) or the Havoc (which gives it a thimble nose look). This new flat antenna that is able to control ATAKA in flight would be much easier to position on BMPT though if it has one I would still be interested in finding where it is. Yes, I thought it was quite clever myself. From the animation each container seems to have the capacity to carry about 8 UAVs. You can see a link on the far right for the helo launched UAVs but also other links for ship launched systems and even networks of UAVs controlled via satellite. In May 9th parade in Moscow, Russian air force show new Ka-52 helicopters with numbers 51, 52 and 53. Any informations, how many will air force receive this year and how many ordered. Other question is, that Ka-52 have very big radom in its nose, so it could have a big radar inside. May it be a modified radar from Su-34 and could this radar be used with medium range air-air missiles? The nose radome is for the MMW radar for detecting and tracking ground targets. The mast mounted radar is a cm wave radar and it is a 360 degree radar to detect air traffic and incoming missiles. AFAIK they ordered 12 for the scout role. In this sense they replace one role the Mi-2 performed. The government trials of Russia’s new attack helicopter – Kamov Ka-52, dubbed Alligator, will be finished in 2010, promised the Air Force Commander Col. Gen. Alexander Zelin in early August. In September the helicopter should start flight testing with its new onboard Arbalet radar station. The twin seat Ka-52 was developed in the early 1990s on the basis of the single-seat Kamov Ka-50 Black Shark assault helicopter after it became clear that Russian Air Force want to have a new assault helicopter with two pilots, so Ka-50 is losing to Mil Mi-28N. The first Ka-52 prototype made its maiden flight in 1997.In 2003 the military selected Mi-28N as a main attack helicopter obviously because of its better armor protection. Although Ka-50 has armor equal to the Mil machine, Kamov designers had to sacrifice it developing Ka-52 in order keep the take-off weight at 10,000 kg mark. The Kamov designers admit that Ka-52’s pilots have protective armor only from the back of their seats. But the Air Force found a special role for the Kamov helicopter. As the Air Force’s Chief of Armaments Maj. Gen. Oleg Barmin explained that Ka-52 is suited more for combat missions in urban terrain and in mountains as well as for air surveillance and target detection.Kamov designers stress that Ka-52 is not a simple two-seat modification of the Black Shark but a deeply modernized version. The helicopter is powered by a pair of new Klimov 2500 hp VK-2500 engines. Agility is achieved by the use of coaxial rotor design. It enables the helicopter to fly sideward with a speed of 80 km/h and backward at 90 km/h. Coaxial rotors also increase the vertical speed and the helicopter’s ceiling because, as one of Kamov designer explained, the lack of tail rotor allows to direct all power of the engines to the main rotors. During the flight tests Ka-52 demonstrated a vertical lift speed of 30 m/s. The Alligator is armed with 30-mm 2A42 gun and 12 Vikhr (AT-12) laser-guided antitank missiles. The Kamov designers say the next step may be the introduction of new Hermes-A ATGMs with self homing device that has a range of 15-20 km compared to 10 km at Vikhr. 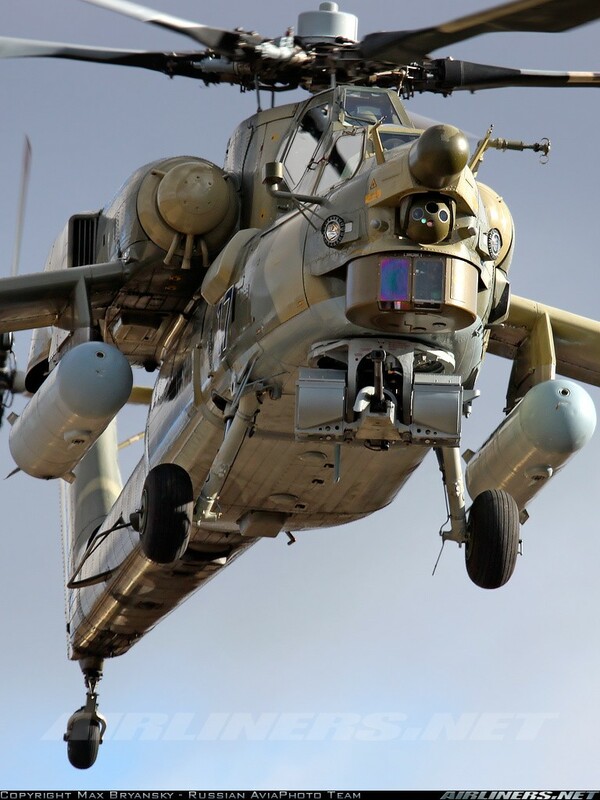 But the military is likely to unify the weaponry with Mi-28N and to use radio-guided Ataka-V missiles. Ka-52 can also carry 4 Igla-V or 2 R-73 air-to-air missiles as well as 80-mm unguided rockets. Ka-52 completed the first phase of the government testing at the end of 2008. At that time the military approved the production of pre-series batch of 12 helicopters at Arseniev-based Progress facility. According to Barmin, the exact number of helicopters to be purchased through 2020 is to not specified yet, but initial plans calls for more than 25 rotorcraft. So far the main disappointment for the military was the lack of Arbalet radar station at Ka-52 prototypes. Now the problem is solved as the first radar was to be installed at the helicopter at the end of August. According to the Phazotron-NIIR Corporation, the designer of Arbalet, the delays was caused by the decision to relocate Ka-52’s GOES electro-optical sensor system in the nose cone what takes some space earlier assigned for Arbalet antenna. So the Phazotron specialists have to lift the antenna in the upper section of the nose cone and make its shape more elliptical, explained Phazotron chief designer Yury Gouskov. "Now the radar bean became wider and is capable to cover broader area”, he told. The 8-mm wavelength Arbalet unified radar can detect and track moving tank-sized targets at up to 30km away. It can also detect airborne targets including planes, helicopters and missiles. The Arbalet will be integrated into a new Argument-2000 onboard navigation and flight and weapons control complex that enables the helicopter to operate round-o-clock in all weather condition. Ka-52’s communication system enables to exchange the information and distribute targets between other helicopters of the group on the battlefield turning the Alligator into a command aircraft. That all seems to be good news. Regarding the armour the Kamov design bureau took the decision to make the Ka-52 a side by side seater for reasons of reducing armour weight. In having them tandem the Mi-28 has two crew positions with armour on sides, front and rear and beneath and only the armour between the two positions is saved. To explain it clearer... if you take two crew positions and separate them completely they both need the same level of armour all around. If you put those two crew positions together like in a tandem configuration then the front of the pilots position is attached to the rear of the gunners position so you can remove... say the front armour of the pilots position except for the front windscreen... which still needs to be armoured. This reduces weight but the rear armour of the gunners position will prevent a round that enters the gunners position also hitting the pilot. On the Ka-52 they realised that if they made it tandem they would only be able to remove the lower front armour of one position. By putting both armoured capsules together side by side you get to remove the entire side armour from both capsules which is an enormous reduction in armour weight. The problem is of course that a penetrating round could take out both crew at once. An advantage is better communication and cooperation with the flight crew. In a tandem layout both crew get a nice clear front and side view but because they can't see each other clearly they could be both looking in the same direction and therefore miss something important. Side by side seating like like in a Rally car with a driver and an assistant... you can get the other guys attention by tapping them on the shoulder and pointing at what you want them to look at. Most of the time you have your own viewing arcs to scan and these arcs don't overlap too much so you wont be wasting your time looking where the other guy is looking. Lots of pluses and minuses. Anyway, very glad to hear Arbalet is working now. The comment about the Ka-52 being forced to use Ataka is a temporary thing because Hermes is replacing Ataka too... for the Ka-52 and the Mi-28N. When both have fully working ait to ground radars then Hermes will be needed to take advantage of their new long distance detection capabilities. Ka-52 became very capable helicopter with Arbalet radar, which in combination with Hermes-A missiles and GOES EO sensor give a very long hand to deal with enemy targets. For now using 10 km range Vikhr ATGMs is still good option and could wotrk outside of range of many SHORADs and MANPADs. With R-73 AA missiles, Ka-52 could engage flying targets up to 30 km away, but I wonder if Arbalet radar could enable using medium range AA missiles like R-77. The other question is for larger AS missiles. Years ago a prototype have on its pylons AS-10 ASM and if my memory is good even anti-radar AS-12. Ka-52 have excellent ESM equipment and I would not be supprised, if it could carry tactical antiradar missiles, to clear the way for other attack helicopters to deal with ground targets. With additional jammers it could be good SEAD/DEAD helicopter. With R-73 AA missiles, Ka-52 could engage flying targets up to 30 km away, but I wonder if Arbalet radar could enable using medium range AA missiles like R-77. I rather doubt a Ka-52 would be engaging targets at 30km with R-73s. Fired from 15,000m from a Mig-29 doing mach 1.6 or so it might manage to hit a closing target that was 30km away when the missile was launched, but at low altitude from a low speed the range of an R-73 is probably closer to 15km. More importantly it would probably only get a lock on the target at 10km or so. The real advantage over say an Igla is that an F-16 flying low and fast in minimum AB on a strike mission at high subsonic speed if you detect it at 8km heading away from you you could launch an R-73 and it would probably hit the target at 15-16km. With only Igla you wouldn't bother. Remember those small AESA radar antennas called Epaulette or something that could be fitted to aircraft with radars that could track aircraft but weren't updated to control R-77s. You could fit those and use R-77s, but they would be 20-30km range missiles from that height and speed. Regarding the Kh-25ML, that would be a useful weapon if the target is something large like a factory or perhaps a solid bridge. The Kh-25ML is a Maverick class weapon and its heavy warhead would be most useful in some situations. In the anti radiation models like Kh-25MP and the Kh-25MPU it would be useful for dealing with all sorts of threats. It would be even cooler if they invested the money and developed the Kh-25TM and Kh-25MTP which were TV and IIR(thermal imaging) guided models with fire and forget capability. The point is "could engage" if conditions are proper and I know it won't happened very often. The point here is, that R-73 AA missile gives quite a long hand to Ka-52 to deal with flying targets. Those missiles give Ka-52 capabilities, which Mi-28 or AH-64 doesn't have. It could do different missions and is more like fighter-bomber, like Su-24/34, than attacker like Su-25 or in helicopters Mi-28. I think the Ah-64 can use sidewinders and mavericks. It can also use the anti radiation version of the sidewinder too I believe. I do agree that the Ka-52 has some impressive capabilities, but western assumptions that the original Ka-50 was an anti helicopter helicopter have led some to think such a thing might be possible. The reality is that the Ka-52 is not some airwolf fighter helo, it is a very heavy armed scout aircraft that will spend most of its time directing Su-25s to targets, or other flights of helos to attack targets it detects. It is armed but in many cases rather than sending a slow fragile Ka-52 to take out a bridge it is more likely they will send an Su-34 with a 1,500kg guided bomb. Regarding fighting helos and other aircraft, the simple addition of a small rotor mounted radar and short range AAMs does not make it a fighter. In fact the most important features in fighter combat are height and speed, neither of which helicopters are well known for. Suffice to say you can put all the Sidewinders you want on an AH-64D Apache but even an early model Mig-29 can detect and track such a target at long range and engage it at long range with R-27R missiles well outside the range of a sidewinder fired from a helo. Even an R-73 fired from a Mig-29 at mach 1 from 5,000m will have 2-3 times the range and energy of one fired by a helo so it can fire and circle around in a wide arc and check for impacts and then fire again and again until the target is down or it has run out of missiles and then it can leave. A helo will not get an option to leave if an enemy fighter is nearby. Russian air force receive 3 new Ka-52 helicopters, so if I'm correct, air force have now 6 Ka-52 helicopters. IronsightSniper wrote: Here's a question, what's the difference between a semi-rigid gun and a swiveling one? MOSCOW, January 2 (RIA Novosti) - The Russia's Defense Ministry plans to start procuring Ka-52 Alligator helicopters for the national Air Force in 2011, ministry's official spokesman Col. Vladimir Drik said on Sunday. The Ka-52 is a modification of the basic Ka-50 Hokum model, it is armed with 30-mm cannon, Vikhr (Whirlwind) laser guided missiles, rockets, including S-24s, as well as bombs. The helicopter is also equipped with two radars, one for ground and one for aerial targets and a Samshite nighttime-daytime thermal sighting system. The development of the Ka-52 started in 1994 in Russia, but its serial production began only in 2008. Earlier in the day Drik said that the Russian Air Force would receive up to 100 Sukhoi fighter jets by 2015 as well as twenty-five new Su-34 Fullback fighter-bombers in the next few years. Deputy Air Force commander Lt. Gen. Igor Sadofyev pledged in late 2010 that the Russian Air Force will procure over 1,500 new aircraft and significantly increase the number of high-precision weapons in its arsenal by 2020. This has a much better angle than my previous photo. I always get a kick out of seeing the red ejection seat handles in front of the seats between the crews legs. Not something you often see on a helicopter. The first thing I noticed was the squiggly lines on the canopies, which clearly shows they are now intending for the crew to eject through the canopies rather than ejecting the canopies first. The squiggly lines are detonation cord used to shatter the canopy for the ejection seats to eject up though the canopy rather than having a delay while the entire canopy is opened and jettisoned and has time to get clear before the ejection seats fire. This means ejections will be faster which will make them safer... so that is good news. The next thing I notice is the small bumps under the wings just in from the wing tip pods... I don't remember seeing them before. And lastly the under nose optics pod... now I know they have tried lots of variations of where to put EO balls and that often the aircraft would be shown with several positions at once making some of the positions actually redundant, but I would think that the bare minimum number of EO balls is two. On the Mi-28N if you start from the thimble black antenna that looks like a nose (and is a radio transmitter for the Shturm and Ataka series ATGMs) going down there is a ball like sensor with lots of optical windows and then a big flat drum with two large square optical windows in it. 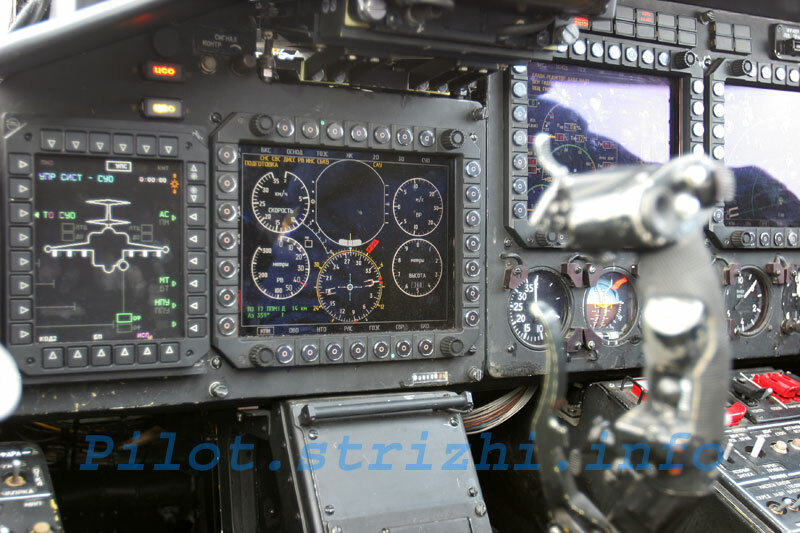 The top ball is for the pilot to give him a stabilised view of outside the aircraft and includes day and night cameras. The night cameras are important because they contain thermal imaging cameras which give excellent views at night and even during the day are not effected by conventional camouflage. Thermal imagers can't see through glass so the pilot can't wear thermal night vision goggles otherwise he wouldn't be able to see outside the canopy. By having a helmet mounted sight however the outside view can be projected directly into his line of sight so he can see through his cockpit displays an unobstructed view of the outside as if his head was where the ball turret is. The helmet mounted sight will have information projected into it like height and speed and perhaps even mini versions of his MFDs repeated in his field of view and he will probably be able to dim the outside view so he can concentrate on the instruments inside the aircraft... or perhaps turn the IR view off in one eye to check his instruments but most of the time at night he will want this outside view for flying. The big flat drum with the two optical windows is for the gunner and will have thermal channels and digital TV channels for long range viewing of potential targets and also aiming the gun. Anyway... what I mean is why does the Ka-52 only have one EO turret? It must clearly be for testing that particular turret with perhaps a roof mounted pilot turret to be added? To be honest I think the gunners ball should go on the roof of the aircraft and the pilots ball should go in the centre underneath as this will mean less of the helo needs be exposed to give the gunner a view of the terrain in front of the helo while allowing the pilot to see clearly how far the helo is from the ground. Note on that photo above (that psg posted with the EO turret showing its optical ports) with the turret optic ports exposed it looks to me like the top two openings are twin cameras for the pilots view. Of the remaining four ports the tiny one is probably the laser rangefinder/target marker/and for laser beam riding missiles, and the larger port next to it is likely the laser mark detector and gionometer for detecting the flares in the tails of missiles so the system can plot their position in relation to the cross-hairs (target) to generate flight manoeuvres to get the missile back on target so to speak. The remaining two ports will be a digital TV with a high zoom for identifying targets at long range and a thermal camera for night and all weather observation. These functions would be OK in a single seat helo like a Ka-50 but sharing between two crew might cause problems. Now look above at the photo of the Mi-28Ns pilots EO ball and you will see the two windows widely spaced are for the stereo view for the pilot and there are three more windows... one for a laser beam, and one for a receiver window to track missiles and the last one will be a digital TV port to zoom in to targets a long way away. The pilot s twin ports for his eyes will be the thermal imaging port that he can use day or night with depth perception to fly the aircraft. When scanning long range for targets he doesn't need depth perception so it only has one port but for flying day or night he needs two that are spaced apart like his eyes and for the same reasons. Note the weapon management screen to the far left shows three wing pylons under each wing plus the cannon as a circle with a link to show ammo load.